The Nordic nation of Finland, where more than 60% of the population speaks at least some English, has sent its first female ambassador to the United States. Ritva Koukku-Ronde, a former journalist with experience in global development issues, took over on September 1, 2011, and presented her credentials to President Barack Obama eight days later. Born April 15, 1956, in Lahti, Finland, Koukku-Ronde earned an M.A. in History in 1982 at the University of Tampere, having written a thesis titled “A legal obligation, or in vain? Arguments for women’s suffrage used in the British Parliament, 1907-1918.” She worked as a freelance journalist from 1982 to 1985, when she joined the Finnish Foreign Service. Koukku-Ronde started at the Foreign Affairs Ministry with three one-year assignments: as an attaché in the Press and Cultural Section in 1985; as an attaché at the Finnish embassy in Bonn, West Germany, in 1986; and as an attaché in the Ministry’s Department for International Development Cooperation in 1987. Her first longer-term posting came when she was sent to the embassy in Nairobi, Kenya, where she served as Second Secretary, First Secretary and finally Deputy Head of Mission, from 1987 to 1990. She was also liaison to the UN Environment Program and UN Habitat, whose world headquarters are located in Nairobi. Returning to Europe, Koukku-Ronde served from 1990 to 1994 as Counselor and Deputy Head of Mission at the embassy in The Hague, Netherlands. She spent the next four years at the Foreign Ministry in Helsinki, first as Counselor in the Political Department of the Unit for the European Union and Western European Countries, from 1994 to 1995. In 1995, she served as Special Adviser to the Director General of the Political Department, and from 1996 to 1998, she was Director for United Nations Development Issues in the Department for International Development Cooperation. 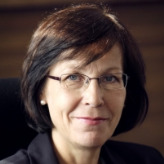 Koukku-Ronde returned to Germany in 1998 to serve as Deputy Head of Mission at the Finnish Embassy until 2003. She then served at Ministry Headquarters in three positions of successively greater responsibility: as Deputy Director General of the Department for European Affairs, from 2003 to 2005; as Director General of the Department for Development Policy, from 2005 to 2009; and as Under-Secretary of State, from 2009 to 2011. Koukku-Ronde is married to Dutch physician Dr. Hidde Ronde, and the couple has two daughters, Emma and Elsa.